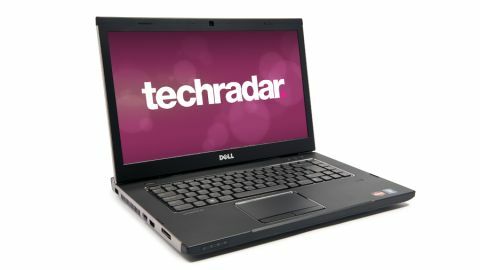 Dell has a solid reputation when it comes to business laptops, and the Dell Vostro 3555 is a good indicator as to why. The performance is just what you need from a reliable business machine while a couple of extra touches make it a pleasure to use. Moreover, the asking price is appealing to anyone shopping on a budget. For a business machine, nothing is of greater importance than the usability. You're going to be typing a fair amount of reports, emails and other correspondence so it's vital to have a solid keyboard. The isolation-style keys here are very comfortable and there's a decent amount of travel on each key. You'll have to make your peace with the lack of a numeric keypad, but the backlight on the keys gives them a premium look. What's more, if you leave the Vostro alone for a few minutes, the backlight will shut off to save on power. The touchpad is very good. It's large and very sensitive, with a couple of chunky click buttons and, like the keyboard, is surrounded by a chrome silver border. The silver and black look of this laptop is typical of a business machine. The brushed metal exterior and black plastic interior will look just as comfortable at the office or in your study at home. Instead of the usual Intel chip, the Dell Vostro is built around an AMD A6 CPU. The A6 is part of AMD's Fusion APU range and, while not as recognisable or powerful as Intel's Core range of chips, this processor can more than handle the necessary requirements. It also costs less than Intel's chips, leading to the lower overall price. The A6 scored a respectable score in our benchmarking tests and is helped along by the 4GB RAM. Although the integrated graphics aren't to be sniffed at, this is certainly a machine you'll want to leave to the office programs - and for that the performance is definitely acceptable. Beyond that, you've got some extra features to take advantage of, such as the fingerprint scanner below the keyboard. This gives you an extra layer of security and an easier way to log in and use the machine. There's also a quick launch hotkey above the keyboard that you can assign any function to. So, for example, with Skype pre-installed, you could launch it with one click and use the built-in webcam and microphone to set up a conference call. You also have hotkeys for Dell Support Centre and Windows Mobility Centre. On top of that is the usual connectivity, including an HDMI and VGA port, three USB ports, one of which is USB 3.0, an eSATA port that doubles as a fourth USB and an Ethernet port and DVD RW drive. We can recommend the Vostro 3555 as it easily checks the boxes we set out for a business machine. Our only gripe was the relatively poor battery life. That said, performance and usability are decent, adding up to a laptop that should well see you through the next couple of years.